First up, the Lancôme Ombre Hypnôse Monos, housed in stunning glittered packaging, come in 3 gorgeous golden hued shades, perfect to brighten your holiday season make up looks. 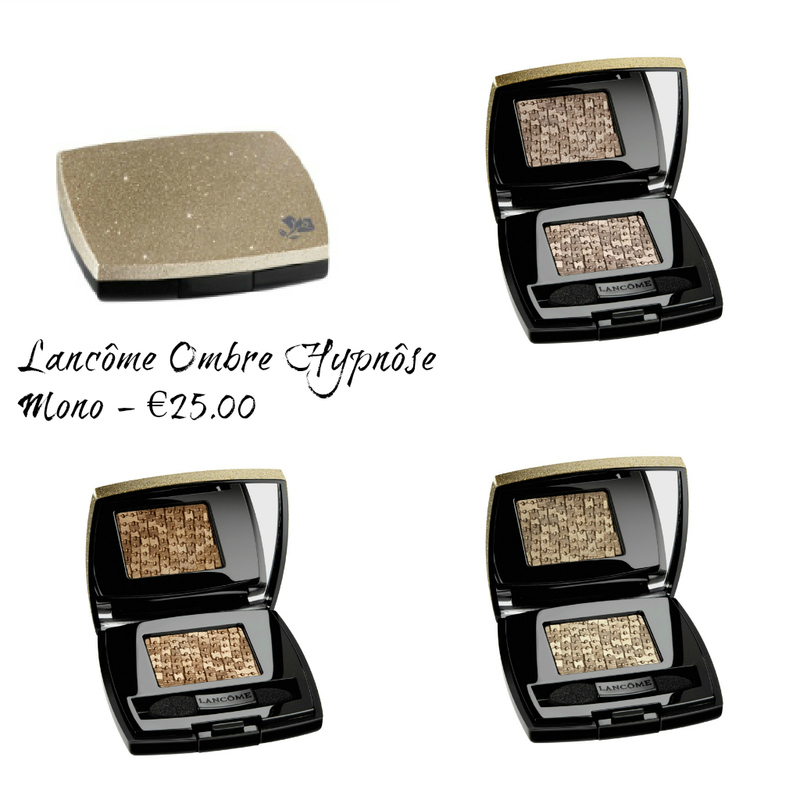 For use wet or dry, these mono shadows contain pure golden pigments and are combined with a soft formula to offer colour that promises 16 hours wear. 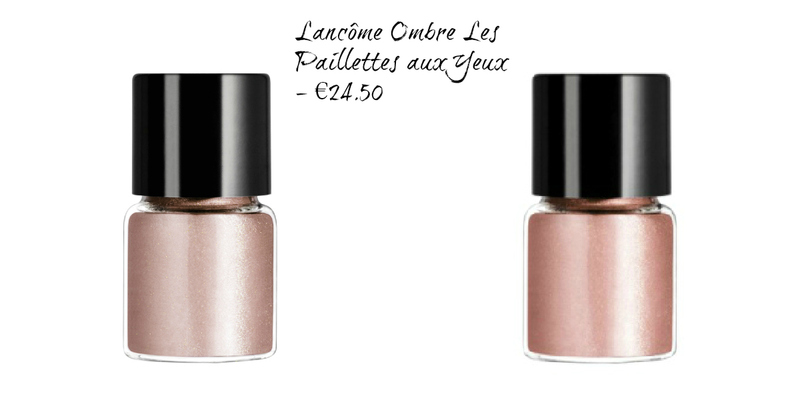 Next, the Lancôme Les Paillettes aux Yeux can be used alone or on top of eyeshadow to create a beautiful shimmered effect. 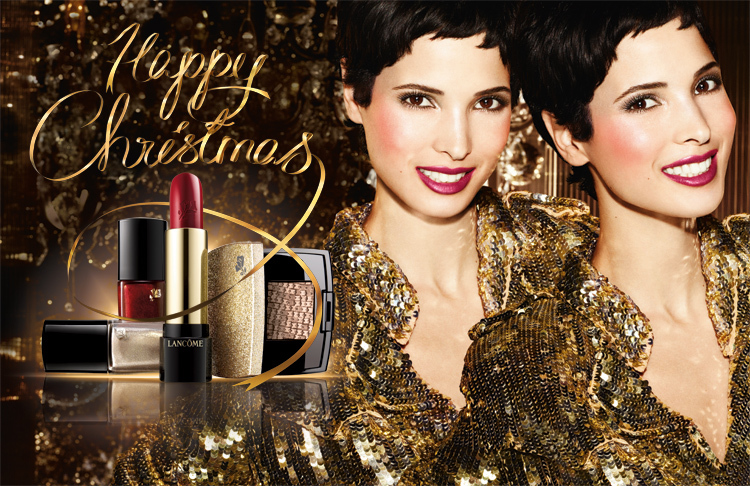 With Mother of Pearl for luminosity, these remind me of my much loved MAC pigments for the Christmas season. Love. For lips, Lancôme have infused Absolu Rouge with metallic shimmer: There are three new shades bursting with coppery mother of pearl for bright kissable Christmas lips. And finally, the one that will, without doubt, be mine, Lancôme Vernis in Love polish in the shade Ginger Swing. 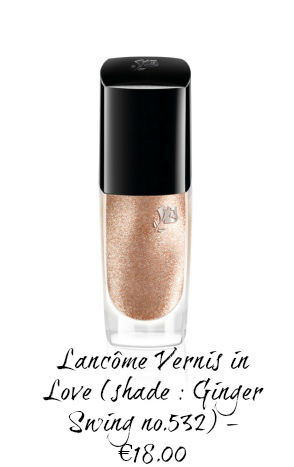 A bright metallic rose gold that would flatter any skin tone and could be worn year round, it's love at first sight for me with this beauty. The Lancome Happy Holidays 2012 collection is limited edition and on counters now so hot footing it will be called for should any of these seasonal delights tickle your fancy. Ooof I may have been a leeetttttle eager but I have already purchased one of the shadows. Didn't think much of the multi-use shimmers or the polishes BUT the shadows are divine. Might put some swatches up on twitter. I do have one slight grievance with them though and that's that although they say that they explicitly don't crease, they do on my lids, even dry with and without primer. They're still gorgeous though. Disclaimer: I only bought this as a selfless act in order to get the mahussive sparkly case for my mum for only 50 quid. It only seems to be in the rural chemists (don't think it's in BTs yet) but it's huge and gorgeous value. Wow they all look great! 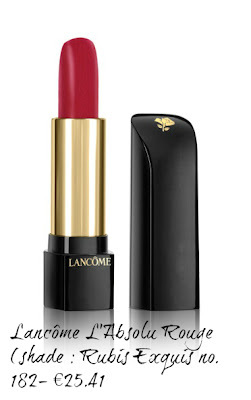 That lip colour is gorgeous. Lancome always do the prettiest L.E. collections.